With a record level of international visitors, 190,000 people from 161 countries made their way to Frankfurt Exhibition Centre for ISH 2019. Managing Director Dr. Nicholas Matten concludes: "With our topics and new products, we were able to inspire our partners and customers just as much as with our new stand and the clear concept. 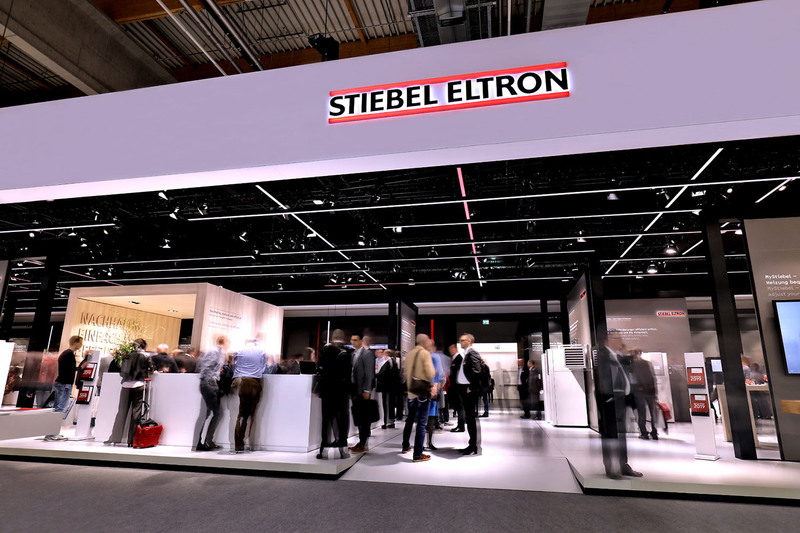 We had thousands of high quality conversations - almost all of them started with the visitors saying how impressive the new Stiebel Eltron booth was. Our current campaign is 'A Clear Focus' for an all-electric future and this motto was consistently implemented in the 1,300 square metre booth".